So why do carbohydrates occupy the base of the healthy pyramid of Singapore? What is general mindset and opinion towards carbohydrates amongst Singaporeans. How carbohydrates are advertised and promoted in real life which affects people’s perception of it. 1. What is general mindset and opinion towards carbohydrates amongst Singaporeans. Singaporeans generally love their carbohydrates. 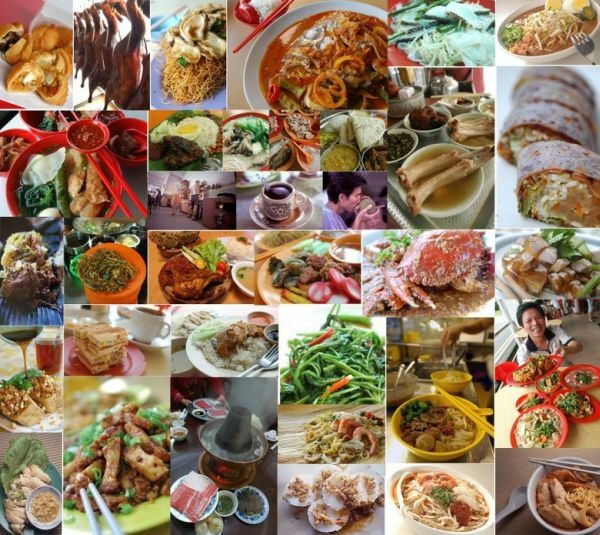 This is far from surprising as Asians, regardless of country of origin and race, generally eat a lot of carbohydrates. It is deeply entwined within our culture and heritage; Nasi Lemak, Nasi Bryani, Roti Prata, Egg noodles and of course, rice (all variations: fried, chicken, sushi etc) – all these foods that have been around for decades and have were responsible for filling up my grandfather’s stomach. I truly respect the different ethnic traditions and history of our predominantly, carbohydrate diet. The media and health experts have generally given carbohydrates (except sugar) a clean bill of health and always recommend that we eat lots of it. Popular grain food such as bread, rice, noodles, pasta … are great sources of complex carbohydrates. They are your body’s preferred fuel to support physical and mental activities. Fill your plate with enough grains at each meal to stay energized through out the day. No wonder Singaporeans love carbohydrates. Hello foreigners, this is just a fraction of what SIngaporeans eat..
Toast (Ya Kun) for Breakfast? Settled. Char Kway Teow for Lunch? On! Chicken Rice or Bar Chor Mee for Dinner – Both lah! Hokkien Mee sounds good for afternoon. Wanton Mee or Zhar Cai for dinner? This amounts to quite a lot of carbohydrates! Our bodies are quickly turning into carbohydrate processing machines! 2. How carbohydrates are advertised and promoted in real life which affects people’s perception of it. This is a good initiative as it help consumers to pick foods that are healthier and contribute to their well-being. In addition, they are also levelling up their criteria and updating their criteria and restrictions. For example, they have taken out white and polished grains as well as white and enriched breads. In view of the above, we regret to inform that HPB will cease the endorsement of HCS on white and polished rice with effect from November 2009. In view of the above, we regret to inform that HPB will cease the endorsement of HCS on white breads with effect from November 2009. As seen, HPB has indeed done a great deal to promote better food choices amongst Singaporeans. However, more needs to be done in order to impart the knowledge that not all carbohydrates are as healthy as what they seem. For instance, overconsumption of carbohydrates (which is basically what almost everybody is guilty of) is a major cause of fat gain. The public needs to be educated on the direct relationship between the consumption of certain carbohydrates and fat gain. How do carbohydrate consumption promote fat gain? When we eat carbohydrates, we break it down into glucose. As part of the metabolic reactions (glycolysis) that converts glucose into energy for usage, an intermediate acetyl-CoA is formed. Acetyl-CoA is a chemical commonly used as an entry point in many synthesis reactions such as fat synthesis for example. 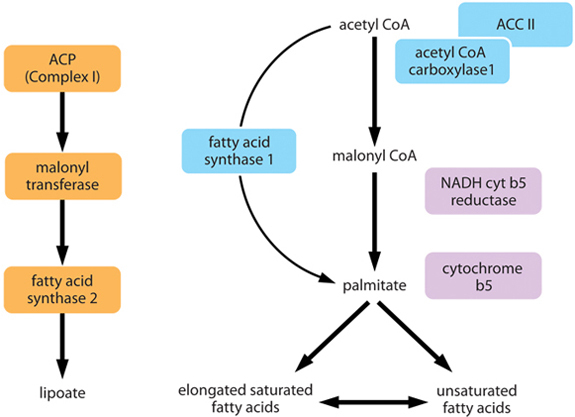 Excess Acetyl-CoA = Gain Fat. Period. Basically, eating lots of carbohydrates causes an excess of acetyl-CoA, which joins together to form fat. The reason why this results is because when we consume a diet high in simple carbohydrate (or sugar), they are easily digested and hence quickly converted into Acetyl CoA.. Without an avenue to transfer (expend/use) the energy, an excess production of Acetyl-CoA results. When they remain untouched, they join together to form fat. The facts and fallacies of carbohydrates. Why different people require different types and quantity of carbohydrates to ensure optimal health. I will touch on these points in the next post, which will also be the last post pertaining to carbohydrates. Inside it, I will include examples of meal plans which you can implement in your daily life so as to enjoy a healthier way of eating carbohydrates. I hope you look forward to the concluding post! I have written it together with this post but broke them up for easier reading. In view of the above, we regret to inform that HPB will cease the endorsement of HCS on white and polished rice with effect from November 2009.In view of the above, we regret to inform that HPB will cease the endorsement of HCS on white breads with effect from November 2009. This entry was posted in Carbohydrate, Diet, eating well, fast food, Fitness, glycemic index, healthy pyramid diet, Introduction, Nutrition, Sugar. Bookmark the permalink.